If your vision is impaired and you use glasses or contact lenses, a surgery can help you in correcting your vision problems. A LASIK procedure includes a laser that reshapes the round clear dome in the front of your eye called cornea to improve the entry of light rays through your eye and falling on retina. LASIK stands for Laser-Assisted In Situ Keratomileusis. 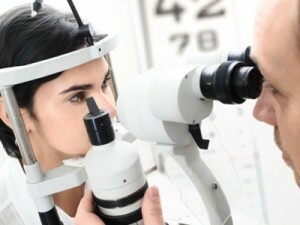 Before choosing LASIK procedure, you may want to consider certain things. 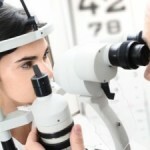 LASIK concerns one of the most delicate parts of your body, i.e. your eye, and is not reversed. LASIK brings about a dramatic reduction in dependence on glasses or contact lenses and some patients don’t need them at all. If you use gas permeable rigid contact lenses, stop using them at least 3 weeks before the evaluation. If you use any other type of contact lenses, stop using them before at least 3 days before the evaluation. Don’t forget to bring your glasses while visiting the surgeon so that s/he can review your prescription. Take a light meal on the day of surgery and take all your medications in time. Don’t wear any eye makeup or any hefty accessories in hair that can meddle with the positioning of your head under the laser. If you are not feeling well, on the day of the procedure, call the doctor to determine if the surgery should be postponed. LASIK surgery is performed by using an instrument known as femtosecond or microkeratome laser to form a thin flap in cornea. Then the cornea is peeled out and the tissue below is reshaped with another laser so that it can focus light properly on the retina. After that, the flap is placed back in place and that’s the end of the procedure. GALANIS Cataract and Laser Eye Center is a St Louis LASIK center that offers multiple services like custom bladeless LASIK, laser cataract surgery, advanced lens implants, glaucoma laser treatment and more. Visit their website to know more about their comprehensive services.